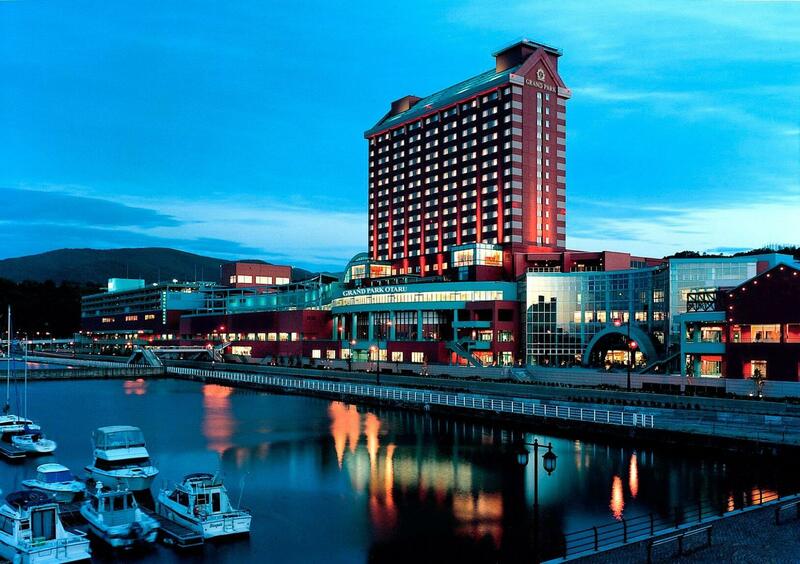 Luxury hotel, International Grand Park Otaru located on the bay area in Otaru. With this strategic location easily accessible to Yacht Harbour in Otaru Marina, offering magnificent view of Ishikari Bay and looking Mt.Shokanbetsu the horizon, the Hotel provides special moment away from routine and gracious resort life. Otaru, Hokkaido, surrounded by the ocean and mountains, blessed with riches of soil and sea, offering superb dining with fresh ingredients, which has been recognized as one of highlights not to be missed. Guests can also expect the presentation made by the foods such as sushi using seafood harvested in the sea around and sweets featuring local fruits and dairy products, to create more colourful stay. Each room is decorated with a variety of tasteful glass objects that stimulate the senses in the setting of glass city, Otaru. The interior conforms to natural wood-tone materials that enable the guests to relax in a tranquil and non-distractive atmosphere with beautiful sceneries stretching across windows. Guests can savour a wide range of gourmet dishes from the many dining options available at the Grand Park Otaru Hotel, including “Terrace Brasserie”, which serves up original recipes of dishes freshly prepared in their Open Kitchen using delicious ingredients harvested in Hokkaido. Another restaurant to mention is “Marina Bar & Restaurant”, which has been gaining popularity for its “hatake no sushi” (sushi in field), referring to hand-rolled sushi and vegetables sophisticatedly arranged with seafood unique to Otaru. The Grand Park Otaru Hotel is for any kind of reception or convention that is particular about formalities. This includes glamorous events, international meetings, a wide variety of parties and gatherings with multiple needs such as MICE (Meeting, Incentives, Conventions and Exhibitions). We offer 10 versatile Banquet/ Meeting Rooms with various layouts and styles options that thoroughly welcomes your guests with impeccable services. The seaside chapel is where beautiful weddings were held near the sea and against the backdrop of an ocean-view of stupendous beauty. Exchange your wedding vows under the benevolent gaze of Otaru’s graceful ocean. Banquet Rooms overlooking the ocean are available to guests for all types of seaside ceremonies and parties. Book early and enjoy our special online rates. Save Up to 25% off our Best Flexible Rate on 45 days advanced bookings – EXCLUSIVE TO THIS SITE Up to 20% off our Best Flexible Rate on 30 days advanced bookings Up to 10% off our Best Flexible Rate on 14 days advanced bookings Book your stay directly with us and be rewarded with 7 exclusive benefits. Kick start your day on the right note with a hearty breakfast. Enjoy daily buffet breakfast at a discounted rate when you book your stay with Park Hotel Group today! Book your stay directly with us and be rewarded with 7 exclusive benefits. With a total of 296 spacious Guest Rooms, guest can choose rooms with either the “Ocean View” overlooking the Ishikari Bay and Otaru Marina, or the “Mountain View” with a panoramic view stretching from Otaru City to Mt. Tengu. Guests can experience the unique vast wilderness and scenic beauty of Hokkaido through the windows from a woody warm interior. Japanese-style Rooms and Suite Rooms are also equipped with distinctive interiors, where guests enjoy moments of true relaxation and freedom that can only be found in resorts of superior class where contentment is a featured quality. Known for its rich history, fresh seafood, old-world architecture and spectacular landscapes, Otaru offers diverse experiences and activities for just about everyone. Whether you’re a solo traveller, travelling with family or a culture vulture, make it a trip to remember with this guide to Otaru. Hokkaido - the land of fresh seafood, lavender and snow-capped mountains has secret gems that you need to discover before the rest do. Here's your next trip all planned out! Keep scrolling as we present the most practical insider tips just for you.